Dr Zan Mitrev is a thoracic and cardiovascular surgeon, specializing in both fields as a result of his training in Zagreb, Croatia during which the two disciplines were combined. He practised for several years in Frankfurt, Germany, before returning to his home country of Macedonia in 1999 to found the Filip Vtori Hospital, of which he acted as general manager until 2008. He is a fellow on the European Board of Thoracic and Cardiovascular Surgeons and in 2012 received an honorary degree from the MIT. The Filip Vtori hospital is organized along two main branches of diagnosis and treatment. Between Dr Mitrev and his team of surgeons, the hospital operates on patients with conditions of the heart, aorta, chest wall and abdomen. 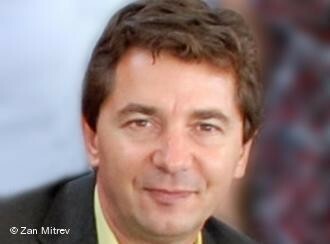 Open surgery is performed and Dr Mitrev was the first person to carry out a heart bypass in Macedonia. Obvisouly, the last extract refers to Dr Mitrev’s work in heart surgery and can hardly be applied to my case, but it gives you an idea of the philosophy of the hospital. Due to the number of patients and conditions he treats, the demands placed on his time mean that he cannot be everywhere at once. During the initial stages of my treatment therefore I was in the hands of the director of medicine, Dr. Tanja Angjusheva who was lovely, expert in issues concerning Pectus Excavatum and always made sure that I was at the centre of the process. During my hour or so in theatre, I was the beneficiary of Dr Mitrev’s many years of experience in thoracic surgery, as I think the results show. I am so happy with the change he has effected and my recovery has been much easier than I expected. His expertise in cardiac surgery also gave me great peace of mind as to the safety of my heart during the procedure. Remembering that I was a private patient paying for the procedure myself and therefore with a very limited choices of surgeons, I feel incredibly fortunate to have come across such a person as Dr Mitrev.